EXTENSIVE RANGE: The selection of products listed below form only part of total range we have available. It details some of the more popular types. 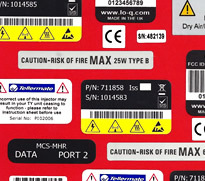 All industry standard bar code formats can be manufactured. 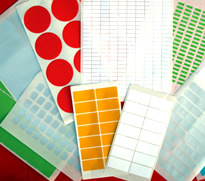 Complete range of labelstocks. Void message and destructible labels are the most popular, although there are many other options for that secure method. 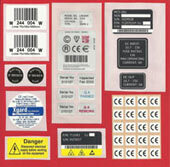 Comprehensive range of Industry standard Identification. Comprehensive range of instructional identification. 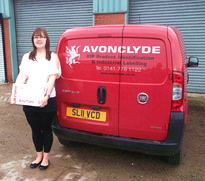 Comprehensive range of despatch labelling products. 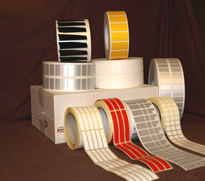 Durable or non-durable labels with all your serial/rating information. Full range of polyimide high temperature labelstocks.